75 People Arrested, Accused Of Trafficking Stolen Art And Archaeological Relics : The Two-Way Authorities say they recovered about 3,500 pieces of stolen art, most of it from countries at war. Spanish police announced the suspects were arrested across Europe. Authorities say they have recovered about 3,500 pieces of art that were illegally trafficked in Europe. The statement noted the arrests took place back in November, but were not made public until late last week. Neither Spanish authorities nor the international bodies involved in the investigation said why they had not previously disclosed the arrests. "Spanish police say the suspects are members of criminal gang that trafficked stolen art and archaeological relics. They have been under investigation for months, by law enforcement from 18 countries, led by Spain and Cyprus. "Altogether, police say they have recovered about 3,500 pieces of stolen art — including Byzantine relics and an Ottoman tombstone in Greece. Among those found in Spain were 19 artifacts stolen from an archaeology museum three years ago. Police have not issued a complete inventory, but said most of the artifacts were taken from countries at war." UNESCO said authorities in Austria, Belgium, Bulgaria, Bosnia- Herzegovina, Cyprus, Croatia, Germany, Greece, Italy, Malta, Netherlands, Poland, Portugal, Romania, Serbia, Spain, Switzerland and the U.K. all participated in the investigation. The operation was known as "Pandora." 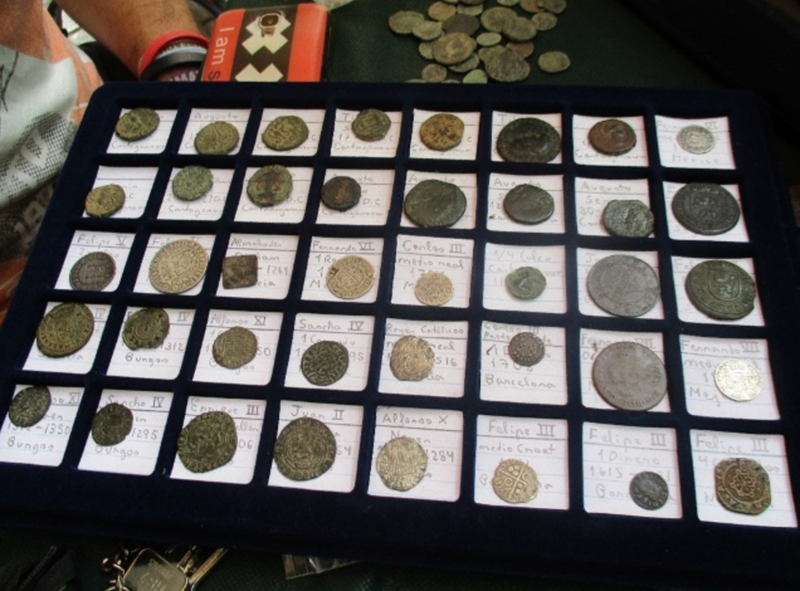 Spanish authorities recovered some of the coins pictured above by tracing online sales, but "would not confirm where the arrests were made," The New York Times reported. "In the southern Spanish city of Murcia, the police recovered about 500 archaeological pieces, including 19 stolen from the city's archaeological museum in 2014," the Times wrote. UNESCO said 92 new investigations had also been opened, following searches conducted as part of the Pandora operation.